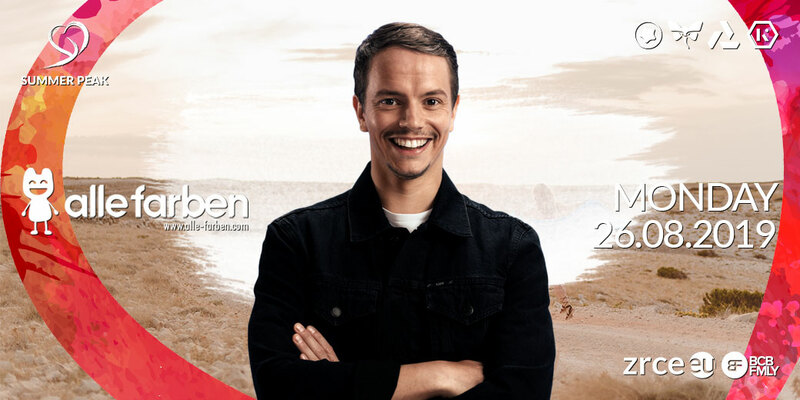 We’re super stoked to announce that Alle Farben is coming to Summer Peak Festival on 26.08.2019 at Aquarius Club! The Summer Peak Festival takes place from 24.08.-31.08. and had a huge lineup with acts like Alle Farben, Sick Individuals, Plastik Funk, Fabian Farell, Vol2Cat and many more! Also it is the big summer closing and last big festival at Zrce Beach! Summer peak is the last event on zrce beach! Warm sea, good friends and nice people, summer feeling, open air parties – That’s Summer peak. For that we provide a fabulous line-up and we give many talented Dj’s a chance to play their music in the world class clubs.